As any even remotely shomer Shabbos Jew knows, Friday is a flurry of activity, a continuous rush to get ready for, ironically enough, our weekly day of rest. It’s incredible; it’s always a rush, and, even if you have to make use of those extra 18 minutes before sunset to finish your last-minute preparations, it almost always works out in the end. Best of all, it seems to make little difference whether it’s winter or the height of summer; whether you have half an hour to prepare or six hours – it’s always a rush and it always gets done in time. Things do, however, become considerably more complicated and stressful when you’re not in the best of health – and no less so when a loved one is ill. Along with the general worry and the mental and physical anguish of having to deal with failing health, being sick makes keeping and preparing for Shabbos significantly more difficult. This is true of even minor ailments; all the more so when it’s a health issue that puts you in hospital and/or threatens your very life. Shabbos in hospital can be particularly awful. The general atmosphere tends to be anything but “Shabbosdik”, and, should your friends and family be shomer Shabbos too and you happen to find yourself in a hospital far away from them, it can be incredibly lonely. And this, of course, is to say nothing of both your own continuing worries about your health and the seemingly endless amount of pain and suffering going on around you. While only G-d and the doctors can really do much about the latter, thanks to some exceptional local organisations, a stay in hospital over Shabbos can be eased considerably with sometimes the smallest of acts. 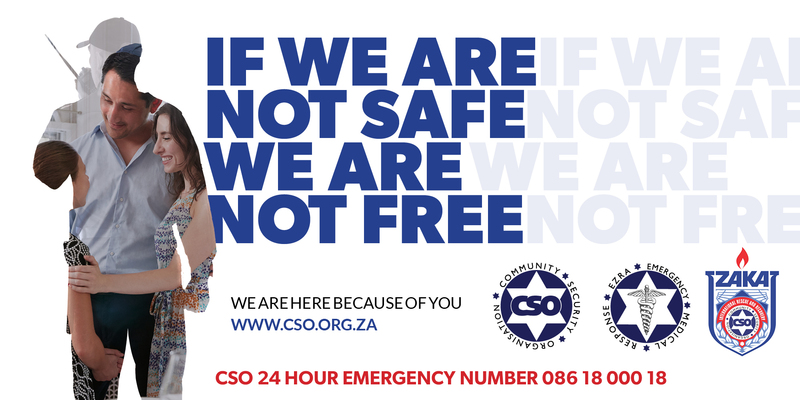 No doubt, there are many such organisations, to say nothing of the countless individuals who give freely of their time to make life just that little bit better for those stuck in hospital while the rest of us are gathered with friends and family over lavish meals or enjoying an afternoon nap at home. 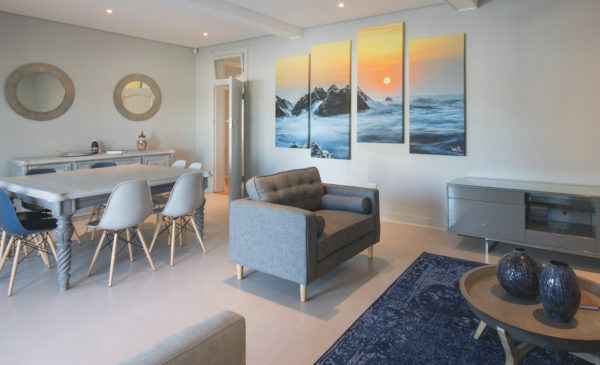 The Hatzolah House in Johannesburg is situated just a short(ish) walk from both Netcare Linksfield Hospital and Sandringham Gardens (with its own hospital section). So, when they expanded considerably by buying the stand next door with its large house intact, the fine folks at Hatzolah decided that along with using part of the house as offices and making use of the rest of the grounds to expand their operations, they would turn the rest of the house into accommodations for the immediate families of patients at Linksfield or Sandringham Gardens who need a place to stay nearby. Partly, this accommodation is provided to people from out-of-town who are unable, for whatever reason, to find a place to stay near these hospitals, or simply can’t cope with travelling long distances every day to visit their ill family member. Its primary purpose, however, is to ensure that shomrei Shabbos family members of patients at Linksfield or Sandringham Gardens have a place nearby to stay on any given Shabbos and Yom Tov. The house can comfortably fit four people at any given time, and, should extra accommodation be needed, an extra mattress or two can be brought in as well. It’s fully furnished, spacious, and contains all the basic necessities to ensure that the inevitable anxiousness and worry around the health of a loved one is the only thing troubling the tenant over Shabbos. While all tenants have to bring their own Shabbos meals and, obviously, their own clothes, everything else is catered for – including such Shabbos-specific requirements as a working urn and kiddush/havdalah supplies. This venture, as of this writing, has only just launched and already people are somewhat unclear of its purpose. As Darren Sevitz, the executive general manager at Hatzolah points out: it’s not free accommodation for those who need to be in the area for a simcha; it’s not free accommodation for visiting rabbis, and it’s certainly not a free holiday for those looking for a break from their daily routine. It is offered absolutely free of charge and, like Hatzolah itself, it runs on the donations of members of our community, but its purpose could not be clearer: It’s there purely to offer some peace of mind to both those in hospital who would otherwise spend an entire Shabbos without loved ones at their side, and for the loved ones themselves who would otherwise suffer tremendous guilt and anguish at not being able to be there for their sick family members. A stay in hospital is simply, by any measure, pretty horrible. The hospital in question may be the most luxurious and modern in the country and it may boast care given by doctors, nurses, and administration staff that could not be bettered, but it’s an experience that tends to be filled with dread, anxiety, depression, and loneliness for very nearly each and every patient. Bikkur Cholim, an organisation that stretches back some seven decades and is all too often overlooked as a vital chesed organisation for the Johannesburg Jewish community, recognises this truth and has spent the majority of the past century trying to do what they can to make a person’s stay in hospital just that little bit more bearable. Bikkur Cholim is undoubtedly known best for its extraordinary Camp Kesher – a camp for Jewish youth aged 8-16 that takes place during the December holidays in Muizenberg, Cape Town. It’s an incredible programme that not only gives children from all backgrounds the chance to experience a wonderful and enriching camp experience, but it has, in turn, been an inspiration for those of us who have ever spent a December holiday in Muizenberg over the last three-quarters of a century. It’s really only a part of the wonderful work that Bikkur Cholim does on a daily basis. As its name (literally “visiting the sick”) suggests, the primary drive of Bikkur Cholim has always surrounded the visiting of sick Jews throughout the greater Johannesburg area. 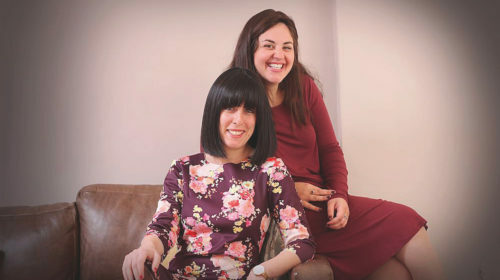 From offering lifts to and from hospitals for Jewish patients, to organising children and teenagers from various Jewish day schools to visit the sick at least one day a week, the modus operandi of Bikkur Cholim has always been to improve the experience of being in hospital for Jewish patients. Bikkur Cholim’s latest initiative is to give out Shabbos Care Packages to all Jews staying in hospital over Shabbos. These care packages include challah rolls and kiddush and havdalah supplies like grape juice, a kiddush cup, and electronic lights that have been approved as a perfectly acceptable substitute for actual candles, which are obviously prohibited in a hospital. All of this to give people something of an actual Shabbos experience and to enable them to participate in some of its many mitzvahs. Further, in the spirit of creating something of a relatively joyous Shabbos atmosphere, these packages also include various drinks and snacks, words of Torah, and even personalised drawings from pre-primary and primary school kids from Johannesburg’s various Jewish day schools – and are often packed and/or delivered by kids from those very schools. These Shabbos Care Packages have been met with resounding appreciation by many patients over the past year, with many even mentioning how the care and thought behind these packages and the Bikkur Cholim volunteers who deliver them have given them the extra spirit to fight harder against their diseases. Both Bikkur Cholim and Hatzolah work extensively with volunteers – indeed, save for Marc Hummel who works full time as an operations manager for the organisation, Bikkur Cholim is made up entirely of volunteers – and continue to offer their services purely through the donations and good will of the Johannesburg Jewish Community. 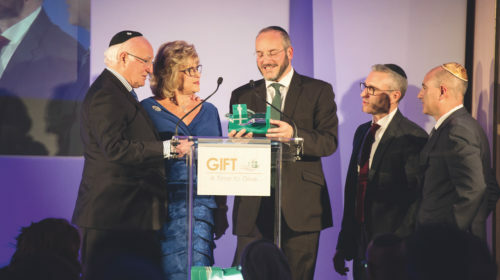 They not only give plenty to the community, but they offer the community plenty of opportunity to give, both in terms of time and money – including such initiatives as, for example, offering the chance to sponsor the Bikkur Cholim Shabbos Care Packages in the name of a simcha or a yahrtzeit.